Housed in a historic barn but using the latest methods of museum display, Court Barn Museum celebrates the talented designers and craftspeople who have worked in Chipping Campden and the north Cotswolds since the beginning of the twentieth century. This is a story of the Arts and Crafts movement and its legacy, a story of how a small town in a beautiful setting became a gathering place for designers and craftspeople of national and international reputation. The museum has been created by a group of local enthusiasts, the Guild of Handicraft Trust, working with skilled professionals. It cost �1.3 million, of which two-thirds came from the Heritage Lottery Fund, and the rest from grant-giving trusts and individuals in this country and the United States. 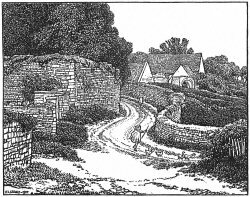 The Arts and Crafts designer C R Ashbee who, in a Cockney invasion, moved his craft workshops, the Guild of Handicraft, from the East End of London to Chipping Campden in 1902. 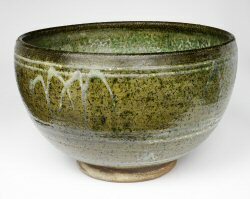 Robert Welch, a distinguished late 20th century silversmith and industrial designer, who worked in Chipping Campden all his life. The museum is housed in a 17th century barn carefully restored by Reg Ellis, a local conservation architect. All new work is reversible and can be removed without harm to the original fabric. There is a permanent exhibition of silver, jewellery, ceramics, sculpture, industrial design, bookbinding, printing, and stained glass, curated by Alan Crawford and designed by the award-winning young Scottish firm, Gareth Hoskins Architects. The museum contains exhibits lent by the Victoria and Albert Museum and the National Portrait Gallery. The entire working archive of Robert Welch is also there. A space is available for meetings, temporary exhibitions and work with schools. 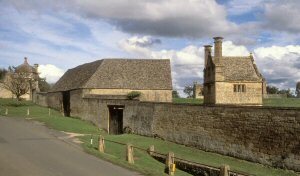 Court Barn Museum is in Church Street, Chipping Campden, next to St James’ parish church. Closed on Mondays, except Bank Holidays, and from 24 December, re-opening second Tuesday in January. Admission: �4. Concessions: Students, senior citizens: �3.25, children under 16 are free if accompanied by an adult.